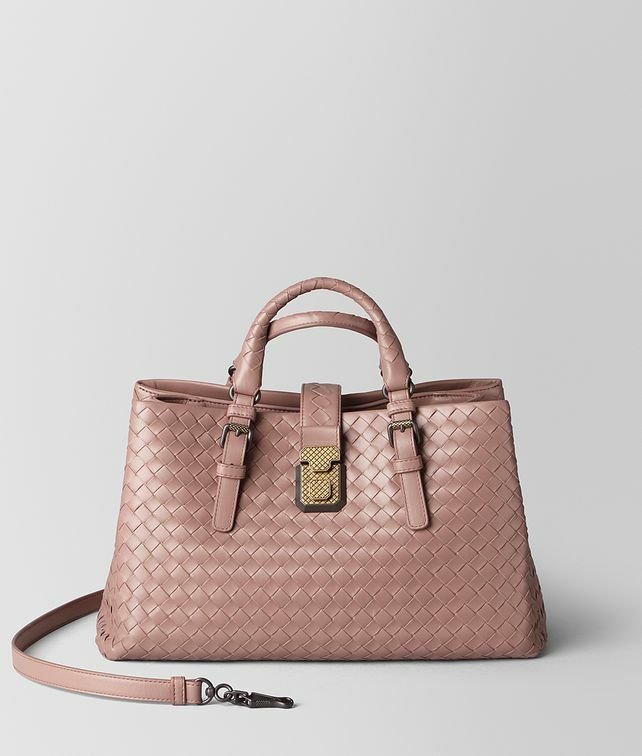 Hand-woven from leggero in an elegant shape, the small Roma bag is a refined style for every day. The spacious interior is divided into three suede-lined compartments and fitted with an internal zip pocket to store smaller accessories. Carry it by hand or cross-body with the detachable leather strap. Finished with intrecciato-engraved hardware in a dark-gold finish. Height: 31 cm | 12.5"
Depth: 18 cm | 6.2"